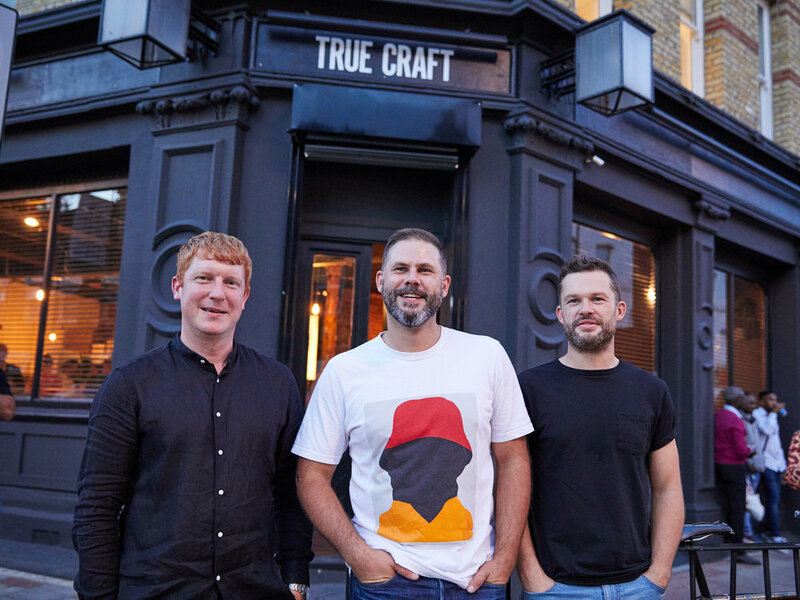 The True Craft tap house is based in an old Victorian pub in the bustling heart of South Tottenham, only minutes from Seven Sisters station on West Green Road. Great beer is all about freshness, so what could be better than having seven of the UK’s best breweries on your doorstep. Our mission is to celebrate London’s beer brewing capital, showcasing beers crafted by the finest independent breweries in Tottenham. We believe beer and pizza are the perfect match. Our sourdough pizzas are crafted from a lighter, more flavoursome dough, made by hand on site every day. Topped with ingredients from local suppliers, they are perfect for pairing with the varied and complex flavours of modern craft beers. Wash our pizzas down with a huge selection of beers from independent breweries in Tottenham and beyond. Either fresh from our taps or you can take them home from our bottle shop. Here you will find an even wider selection of UK and international beers from California to Copenhagen. We have everything from pale ales to porters, blondes, stouts, weissbiers, sours, saisons, pilsners, IPAs, DIPAs, APAs, and everything in-between! We understand you’re not always in the mood for hanging out with Tottenham’s finest young revellers in our pub, so we’ve made it so that you don’t have to miss out on our great food and beer. Just drop by and pick up a pizza and a stack of beers on your way home. Kids Pizzas: All our pizzas are available at half size for half the price, perfect for kids. Subscribe to our mailing list below, to stay up to date with all things True Craft.